In our Lower School, students learn German for seven hours per week. During this time, they focus on "writing", "exploring language", "speaking and listening" and "reading". Within the learning discipline "writing", the children expand their vocabulary. They also practice creative writing and learn about different textual forms. Using the FRESCH method, they develop spelling strategies and learn how to apply them. The discipline "exploring language" contains specific grammar exercises. Proper pronunciation and, for example, the narration or recitation are part of the study area "speaking and listening". As part of the "reading" discipline, the students begin recognizing and reading syllables and words, and finally the reading of whole texts. Reading and the introduction to literature are promoted through the use of the programs "Antolin" and "Leseludi". In the area of ​​German Plus, the program "Lernrudi" is also used in addition to the above two programs. To further expand the interest in reading in our Lower School, students in grades 1 - 4 now participate in a German nationwide reading day. 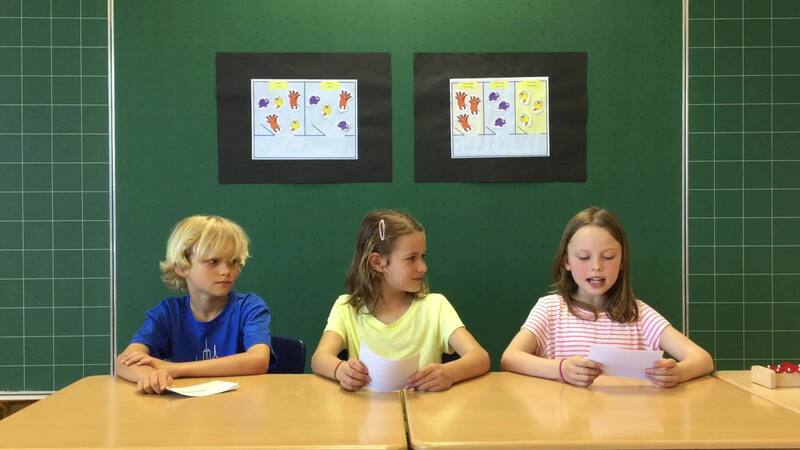 In our Lower school, students also receive targeted language support in German Plus. In the first and second grade, an additional resource teacher works in the classroom for specific hours in the day. In the third and fourth grade, the children work in three differentiated learning groups on projects in German for two of the seven hours. This concept GermanPlus is explained in the video below.